We’re a nature-themed mostly-vanilla survival Minecraft server, owned by a developer. Let’s help each other build beautiful structures, useful farms and explore our world. Choose sites carefully as the surrounding environment should emphasize nature over the structure itself. 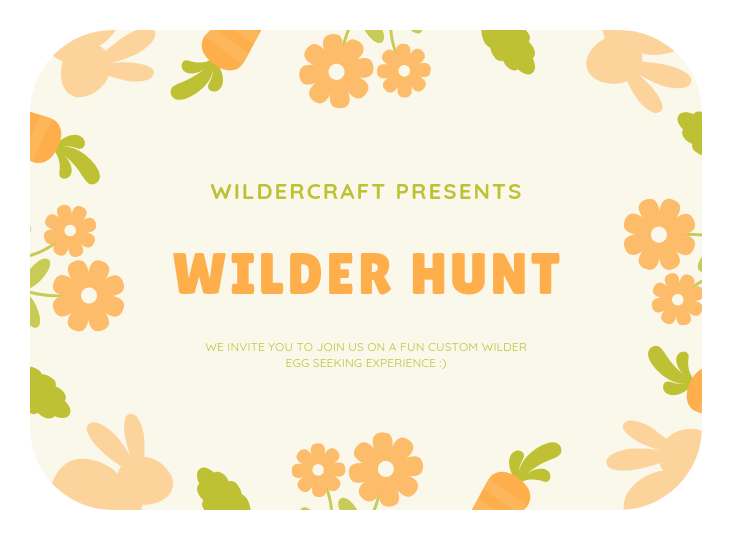 WilderCraft is about making home with the landscape. Our players are kind, helpful, and into nature and trees — the spirit of WilderCraft is about helping each other build beautiful and interesting bases that are both functional as well as highlight and take inspiration from real life nature. We’re an active bunch — you’ll find players online at all hours of the day. 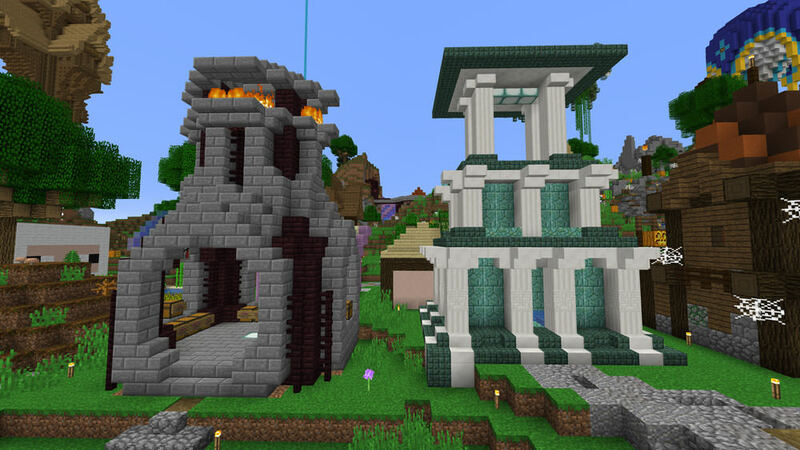 Vanilla-minded customizations — In the spirit of the vanilla Minecraft experience our enhancements are intented to be powerful but not overpowered. Most items have a cost per use, so items are not unlimited, and mindful of survival resources. 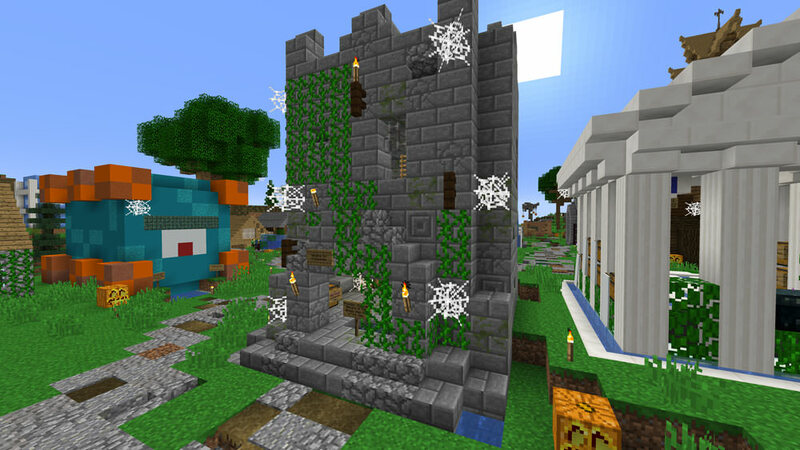 Claims — protect your base from jerks and creepers. Find gold, make a golden shovel and mark two corners to setup a claim (via the popular GriefPrevention plugin). Shops — buy from other players with our very simple and easy-to-use chest and sign shop. Increase your rank to open up your own shop. Wilderness Warp — teleported to a random spot in our world. Your new location is between 5,000 and 25,000 blocks from spawn. Players can vote on various popular Minecraft server community websites to help raise our profile and attract new and interesting players. 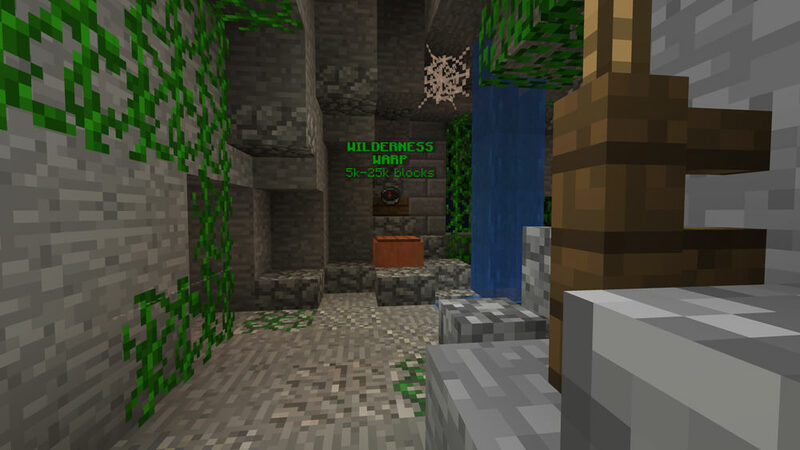 Votes are rewarded with items and ranks, which can also be purchased to help support Wildercraft, both to maintain the server and grow the community. Feral — New players arrive as feral to our wild world. Wanderer — Access to /sethome. Lightfoot — Protect your land from griefers with a /claim. Peddler — Sell items from a single chest shop at spawn. Pathfinder — Access to /tp, /tpa, /tpahere (costs 1 ender pearl each). Mythic — Create a custom /shop. Colossal — Endermen beware! Make claims in The End. Elder — Protect your blaze farms with nether claims. Ancient — 2x shops, a warp at spawn to your base, and Ancient’s bonus. 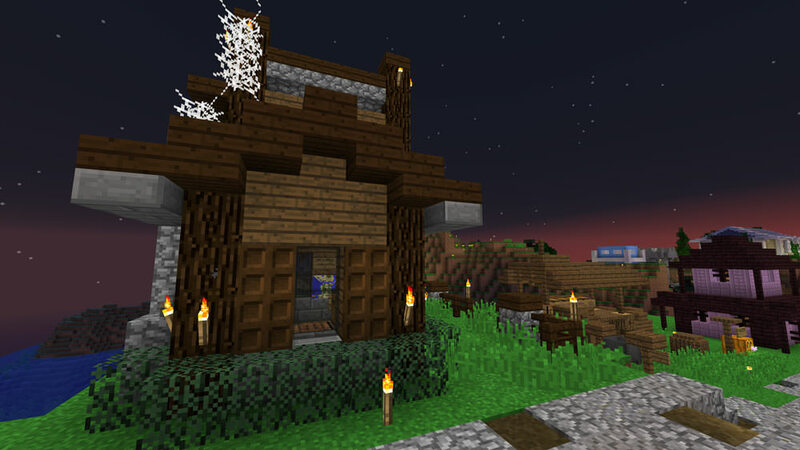 Build your own shop on a plot near spawn — join the fun and show off your creativity! Sell anything you like inside chests with our easy to setup sign system using in-game currency like diamonds, emeralds, gold blocks and iron ingots. Earn in-game wealth and fame. Be Nice. We promptly ban toxic trolls, over 1,000 served. 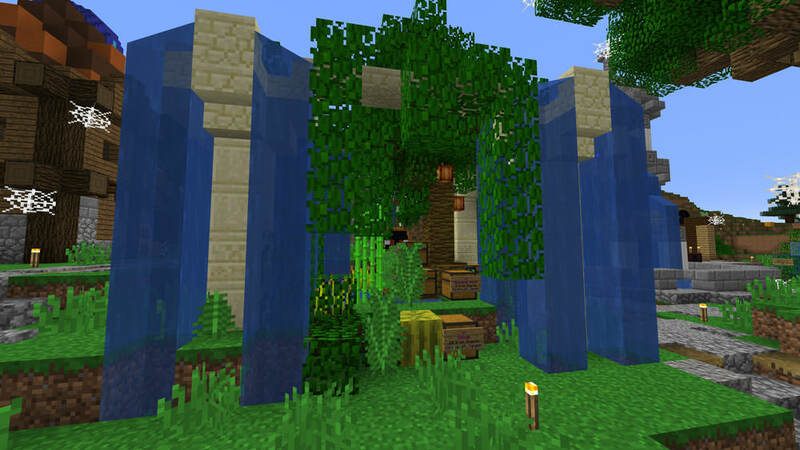 Create nature-themed builds that fit the landscape. Earn your items. Beg/cheat/hack/x-ray is against the survival spirit. Try the shops! Stealing or griefing someone’s unclaimed base isn’t nice. Keep chat civil. Skip spam & politics; make chat helpful, friendly and fun for everyone. 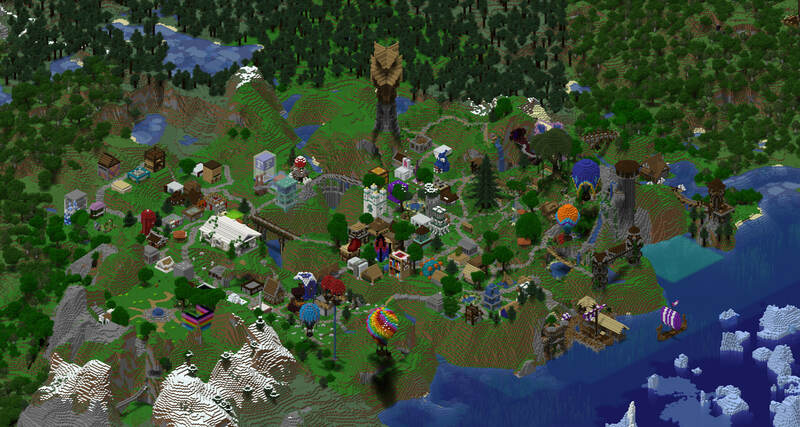 Well good news, the Easter Bunny has hit WilderCraft and hidden eggs all around spawn. If you find one of these eggs and left click on them some of them give you gifts. See if you can be a master hunter in the leaderboard and find all of the eggs. Some say its impossible to find all the eggs. I wonder what would happen if someone did? Looking for a more vanilla experience? Join The Expanse! 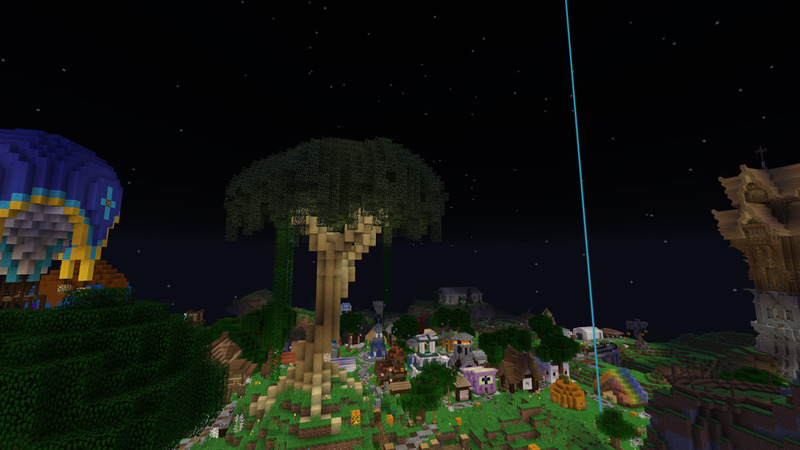 The Expanse is a new server attached to WilderCraft and available via warp from /spawn. - Yes claims, protect your stuff! - Yes shops, sell your stuff! Come to /spawn and find the new warp! We're looking for folks who want to help shape the look of Spawn for the upcoming Season 6 as well as survival mini-games created by myself and the staff team. Sorry for the downtime and few extra reboots today, I've been doing a few updates this evening that should resolve many of the intermintent crashes we've been seeing this last several days. Thank you for your patience! I'll be doing another round of maintenance this week and after that you should see a lot fewer interruptions. - Some new vanilla tweaks, but not too many! - A new event we're working on that involves a custom plugin, XP farm builders will want to watch for this one! See you in the wilds. A thanks to the community!